What does Kristy do when she has a million and one apples in her fruit bowl to use up? 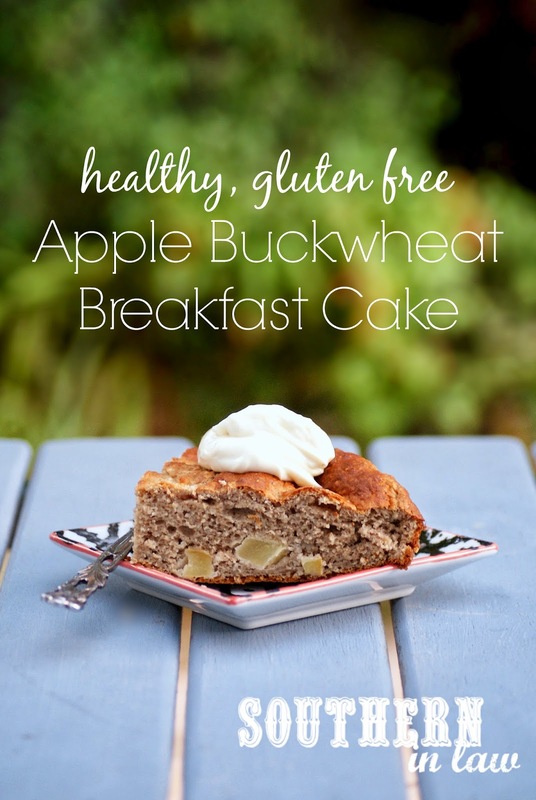 Why, she makes an Apple Breakfast Bake of course! 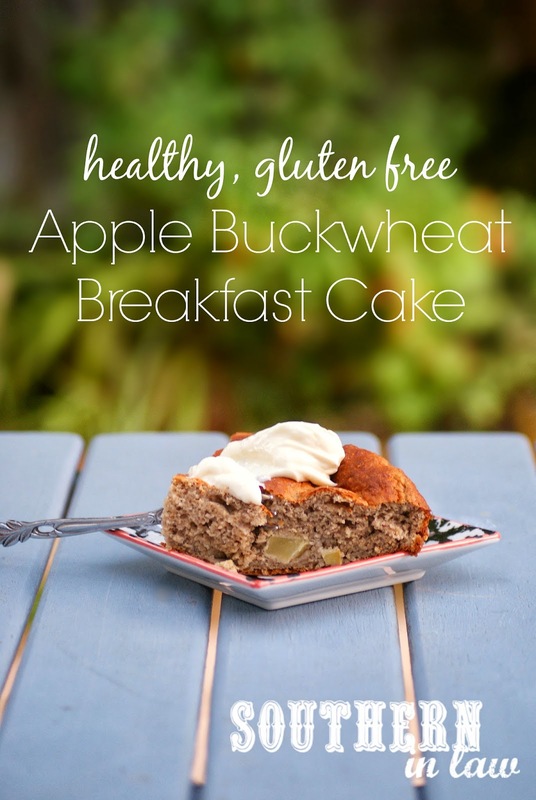 The chunks of apple throughout this breakfast cake/bake take it to a wholeeee new level of deliciousness. There's little bursts of flavour throughout the cake and they're delicious either hot or cold. Now that the weather is getting colder, I'm finding myself wanting more autumn/winter foods - warming spices, apples, pumpkin - warm, comforting and perfect for the season. I'm usually a fan of cold breakfast bakes whilst Jesse likes them warm - but this cake had me struggling to decide every morning I ate it as it's delicious both ways. Cold with some mascarpone or cream cheese on top or warmed with melty peanut butter - yum, yum, yuuumm. It's perfect warmed up in winter too as it'll warm you up from the inside out. Grease and/or line an 8" round cake tin. Combine all of your dry ingredients in a medium mixing bowl. Add in your yogurt, applesauce, egg and vanilla and mix until just combined. Stir through your chopped apple and pour into your cake tin. Bake for 30-45 minutes or until cooked through and golden on top and a skewer inserted into the cake removes clean. Allow to cool before slicing and top with whatever you like! This cake will remain fresh stored in the fridge for a few days or can be frozen (sealed in ziplock bags) for months. But tell me, if you had a bunch of apples to use up, what would you do with them? For me it's either some kind of apple cake (the SIL family always requests this Apple Almond Cake), an apple crumble or some kind of baked oatmeal or breakfast bake!